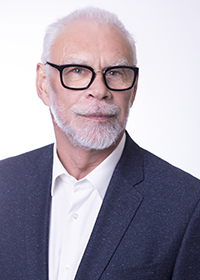 Author: Daniel Weber, PhD, M.Sc. 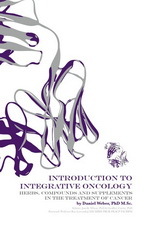 ‘Introduction to Integrative Oncology’ presents herbs, compounds and supplements, which have research and proven clinical application to support patients in cancer recovery. Many cancer patients seek out complementary treatments, by some estimates up to 80%. In many cases the solutions are either ineffective or dangerous. 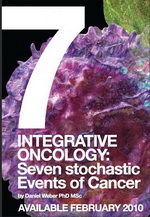 This Introduction to Integrative Oncology book looks only at those complementary medicines, which have research to show their efficacy as well as their application in treatment. Daniel Weber gives a comprehensive background to orthodox Western scientific understanding of cancer biology. Studies of CAM in cancer treatment are also described in detail with both positive and negative reports clearly catalogued. The book tables a comprehensive annotated listing of CAM methods and medicinals from both ‘Western’ and Chinese practice for use both with cancer, chemotherapy and radiotherapy as well as for Chemotherapy and Radiotherapy side effects. “In this book, Daniel presents a significant contribution to the use of TCM and CAM in cancer management. It is a book every integrative practitioner would want in his or her reference library”. “Chinese herbal medicine has a long history of use in oncology. Over the last 50 years it has been successfully integrated into Western oncology protocols in many hospitals and Universities in China. Daniel Weber’s research and translation of much of this literature brings important information to Western practitioners, both orthodox and complementary”.